The title of this one alone kind of made me swallow hard. Not so much because it was long and difficult, but rather I wasn’t sure how my blog would wrap that title. I love the title though, Luctor et Emergo. You saw that to somebody and they’ll probably think you’re casting a spell on them. Bonus points to this one for having some of the most interesting notes, grass, almonds and sour cherries piqued my interest the most. In Bottle: Probably the most interesting experience I’ve had in a while with a fragrance. First spray reminded me of a very expensive rum I had once. Aged some strange amount of decades, it came out smelling very similar to this. Like woody barrels, almond and a bit of spice. Applied: The application wasn’t much different to me than the off-skin sniff. It smelled of that aged rum, almond, a hint of vanilla, wood barrel and a sprinkle of spice. It smells tasty, but the initial burst of rum makes way for a predominantly woodsy scent. I smell this and I think of cherries and pencils. It harkens me back to elementary school, sharpening my pencils at my desk a tube of cherry chapstick wedged in the corner of my desk drawer. I liked collecting the curls of shavings because I thought they looked beautiful. It’s a good memory, and I think a nice way for me to describe Luctor et Emergo. It’s the shaving curls off of sharpened pencils. Rolled into little ribbons of wood, collect them together and make a nice masterpiece. I get a bit of the almond in this as well, sweet and mild and working with a hidden vanilla note. The longer I let this age, the more the woods grow on me. They’re pleasant and tempered woods. Not the screaming harpy that I often associate with cedar. These woods are soft and pretty and nostalgic. I actually really love this, just for the memory spur alone. Extra: Luctor et Emergo was released in 1997. I looked up what Luctor et Emergo meant, and the translation I came up with was “I struggle and emerge”. Design: I have to admit, I’m not sure I’m a fan of the bottle design. Something about it reminds me of a nail polish bottle and I think it’s a part of that design sensibility that faded away a bit in the 90s. Notes: Grass, white florals, vanilla, almond, cherry, precious woods. The opinion on this one seems mixed across reviewers. I personally like it because of how nostalgic it made me feel. Hard to believe because I distinctly remember having not that greatest of times in elementary school. But I suppose the reminder of those pretty pencil shavings was something I missed. You can get Luctor et Emergo from Olfactif or LuckyScent. 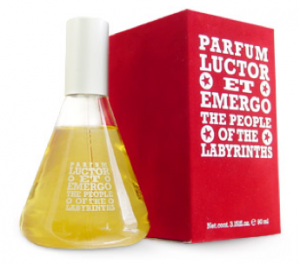 Reviewed in This Post: Luctor et Emergo, 2013, Eau de Parfum. A year ago when my eyes were still filled with stars for old fragrance houses like Guerlain and Coty, I would have sworn off stuff like Cherry Blossom Fruity and pretended they didn’t exist. But the truth of the matter is, Guerlain makes its bills by selling mainstream fragrances like this while, hopefully, keeping its classics alive for another year. In Bottle: Smells like flowers and fruits. 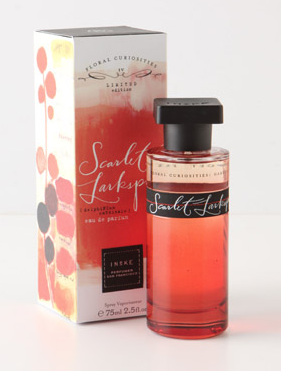 Kind of a funny experience when I remember Guerlain of Vol de Nuit and Jicky fame made this. Applied: Yeah, florals and fruits. There’s a bit of tartness at the start–very little of it–with a juicy cherry fragrance and a very fruity blanket to push the cherry smell a little. The whole opening is familiar with mainstream fruity fragrances. I think the word “juicy” is a good approximation of how Cherry Blossom Fruity opens up. Don’t worry though, it gets better as the scent ages and the cherry blossom jasmine combination come into play. The florals balance out the loud juicy opening very nicely. The whole composition of the fragrance is quite sound. It’s actually one of the better fruity florals I’ve sampled in that it doesn’t just throw a punch of fruits and flowers together. There was some good thought put into this. The drydown sees a bit of taming when it comes to the fruity florals and introduces a bit of surprising dry dustiness that I want to say might be vetiver, but I’m not sure I want to commit to that conclusion. Extra: While I have a very small sample of this, Cherry Blossom Fruity is apparently a “Glittering” Eau de Toilette. I can only assume there’s some sort of glitter or sparkles in this stuff that when sprayed can either make you look like the Queen of the Fae or a walking disco ball. I’m really not sure where Guerlain was going with this one, but there’s been some iteration of these easy fragrances out for a while. You can still get your hands on Cherry Blossom Fruity. Beautyencounter has it for a very reasonable price though the bottle is very small. Design: I’m not wild about the look of this one. It looks particularly out of place given the rest of Guerlain’s packaging. It is what it is though. Every time I look at the bottle I get the feeling Cherry Blossom Fruity would fit in more with the body sprays (especially given the glitter in it) than the Eau de Toilettes. Notes: Red berries, cherry, cherry blossom, jasmine, vetiver. Please note that my list of notes is mostly an approximation. Guerlain themselves only provided two definitive notes: cherry, cherry blossom and jasmine. The rest are my guesses. Cherry Blossom Fruity–to me–hails from Guerlain’s mainstream arm that makes fast and easy to wear perfume. It’s fast fragrance for the too-busy-to-bother 21st Century consumer who needs to spray and go. And what they want to spray is something subdued and inoffensive. Nothing wrong with that. Like I said, this stuff smells good and is fundamentally sound as an easy perfume. Though I’m not sure you want it to make you glittery if your chief concern is convenient fragrance. In the end I hope it sells (or sold) well so Guerlain can keep it’s classics in stock. Though judging by the fact that I hardly see any of this stuff on actual store shelves, I’m happy that the Aqua Allegoria line does a bit better. Reviewed in This Post: Cherry Blossom Fruity, 2006, Eau de Toilette.